Today we’re launching a new widget for Papyrs: the poll widget. Although it’s already possible to create all kinds of survey forms using the form widgets, a poll can be useful if you want feedback on a single question, and immediately show the results. With Papyrs, you can now add two types of poll widgets. 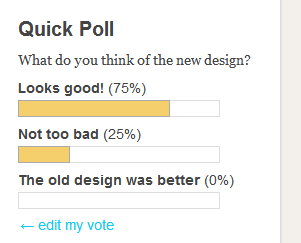 After adding a Simple Poll widget, people can vote for one of the available choices. They can also view the results of the poll, with a bar showing the percentage of the vote for each option. The other poll widget is the Preference table. Using this widget, people can select multiple options, and a table is shown with the names of people who voted and the selected options. 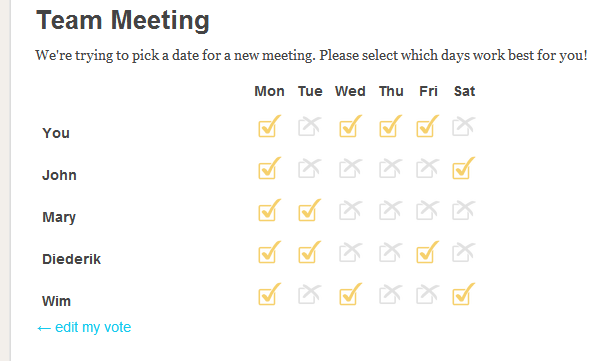 This is great for deciding between multiple alternatives/preferences with a group of people, from planning a date for a meeting to deciding between various designs for a new project. 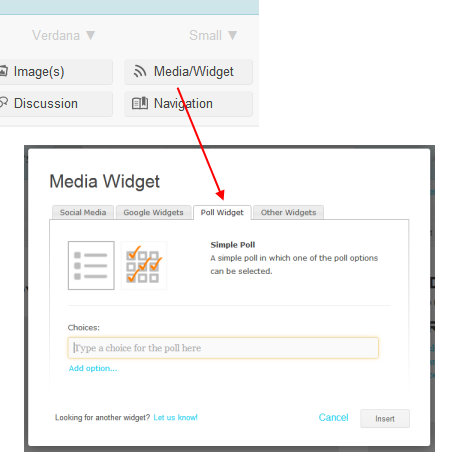 To add a poll widget to your page, drag the Media/Widget to your page, and select the Poll tab. Only users with View & Submit permissions or higher can vote in a poll, but everyone with access to a page can see the results. We hope you find the new widget useful. More updates coming soon!